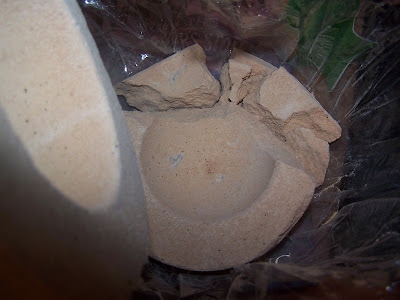 I thought I’d treat you to images of my Super-Sized Lush Pud’s demise! 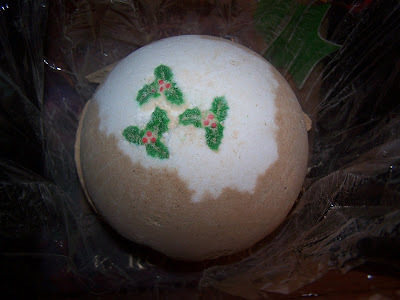 As tempting as it was to throw this entire thing into my tub I did my best to refrain and crack it up so I might enjoy the sweet scent of Snowcake over the course of a few baths instead of just one (plus I don’t think I have the nerve to throw in $27 worth of Bath Bomb and soak without feeling guilt)! A harder tape and it begins to crack! Time for my bath! I should get at least 6 (more if I’m frugal with the pieces) or more nice long soaks with the bomb pieces! 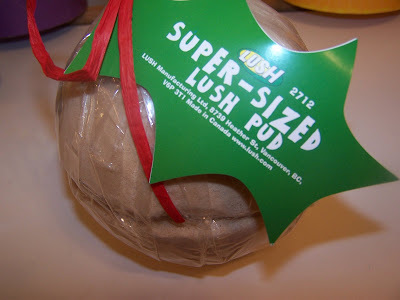 Grab one of these while they are still around at your local Lush (they are sadly sold out online)! 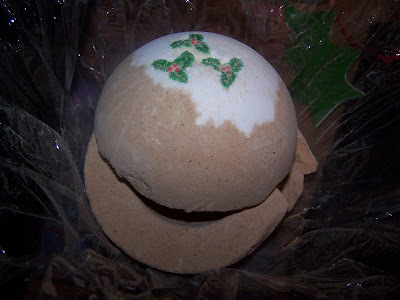 You’ll also receive some Snowcake and Bob soap (Ewww I hate Bob) inside and a coupon for 15% off your next order online or in store (all Lush wrapped gifts include a coupon)! Im always afraid to buy their soaps, because it smell so heavenly and looks so yummy that i’l eat it accidently heheh.